The continuing voyages of S.V. RUTH: February 2018. This is my first blog posting and hope you will be forgiving of any blogging etiquette that I may break. 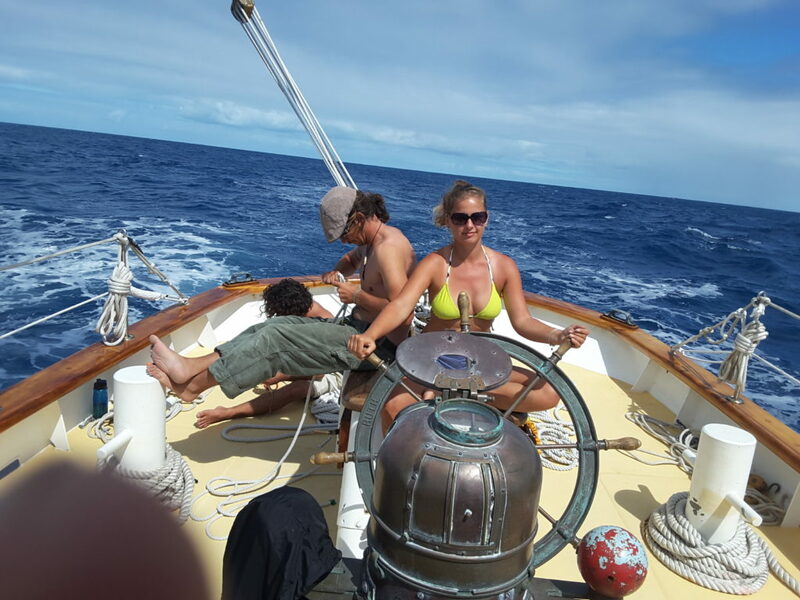 RUTH has had several Caribbean sailing passages since May 2017, but this passage from Jolly Harbour Marina, Antigua to Grand Anse, Grenada deserves this place as the first Captain’s blog. Preparations for the passage were careful and fastidious, windy, wind guru and AccuWeather all showed F5 to F6 NE winds across the entire passage, we test reefed the main in anticipation, hardening the sail foot on the outhaul using blocks. A big pot of my curry chicken was sitting on the stove for lunch with enough for the crews first night watches when we slipped the lines at midday from a berth graciously offered by Charles Kenlock (Charlie). Our time on the dock allowed us to repair and reinstall the port Main topping lift with much needed lazy jacks thanks to Jake our Bosun. 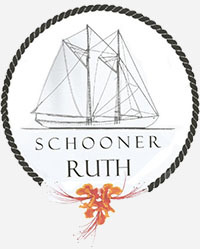 Motoring out of the winding tight passage of the marina, we turned into the wind just past red/white navigation mark, raised the full main and foresail, bore away onto a broad reach to get around the shoals in the area, engine off and we were sailing. 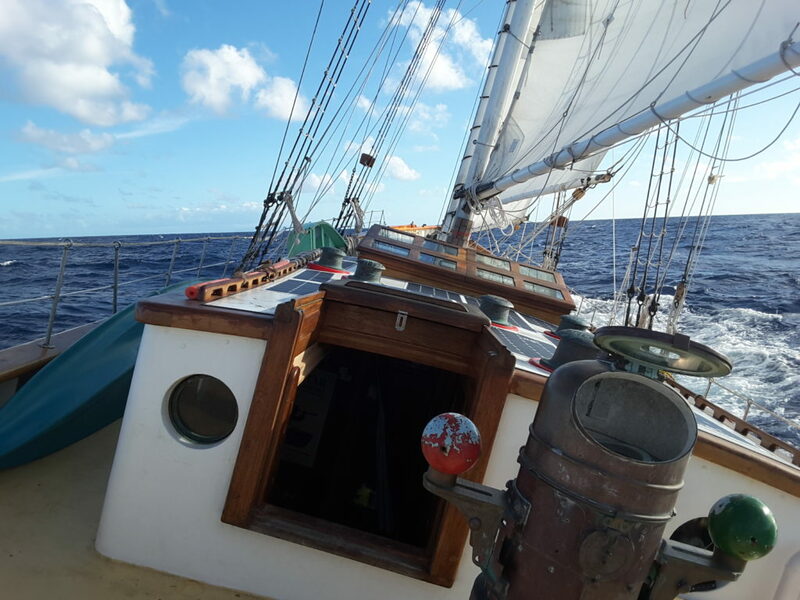 It was a glorious bright sunny day raising the 3 jibs while underway, the wind shifted a couple times from convergence around the southern Antiguan headlands, but after less than an hour we found clean wind, we hardened up to a beam reach on course to leaving Guadeloupe to port. With full sail we were doing 7+ knots with RUTH just starting to wet the scuppers, barely a touch on the helm to keep her tracking. Tactically, we needed to be in the lee of Guadeloupe at nightfall when the blow kicks up and all did go to plan until the convergence from the south of Guadeloupe gave us almost no wind then SE winds on Luke’s watch (3 hours each to Nazz and Kaya). At that point, it was all hands on deck to reef the main. With all the sheets eased to spill some wind, we were still flying across the Guadeloupe Dominica channel at almost 8 knots and this kept running through Monday day and night, except that the wind was more Easterly and Nazz hardened up to a close reach to keep on course past St.Lucia (his home port) … awww. The wind did drop and we did slow down to 4’s in the wee hours of Tuesday morning off St. Vincent. I got the crew up and we put up the Fisherman staysail to keep moving. Of course, within a couple hours the wind was back to F5/6, we took the fisherman back down and got RUTH back tearing a path to Grand Anse. Outside of this interruption, with the solid pace, the crew slept solidly off watch. 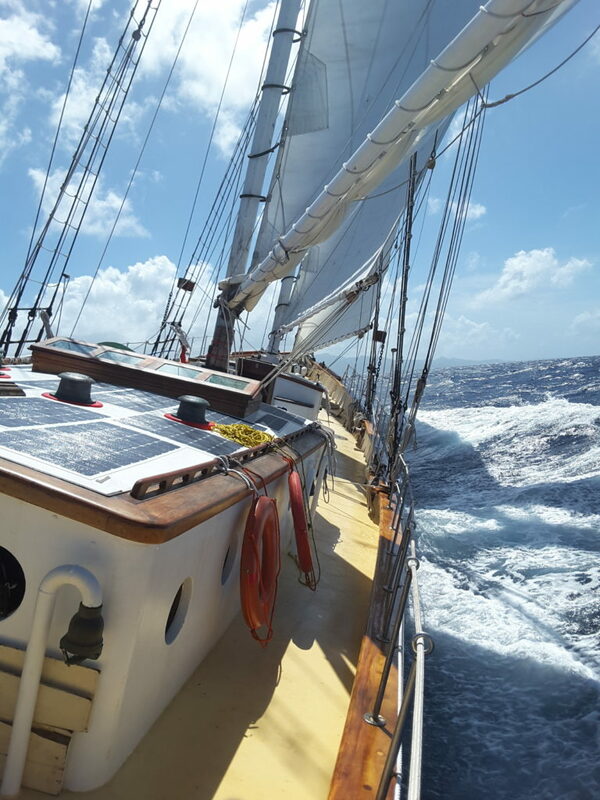 Coming past Carriacou’s latitude with Kaya on the helm (his home port) we got much flatter water and the current hit going in our favour along with some gust we sailed all the way down Grenada’s coast to our anchorage at over 9 knots (max. 9.7) in another glorious bright sunny day. At midday, engine on, we came up to wind, dropped the main in the fastest time ever in our new lazy jacks with 2 crew only flaking the sail. Checking the charts for water depth, a clear sandy area in about 5 – 7m was spotted, we dropped anchor with chain and warp, waited for the pivot and dropped back about 80m, settling 2 cables from the shore beneath Captain Harris’s Inn and 4 cables from the Port Louis mega-yacht marina… a fabulous Grande Anse vista. 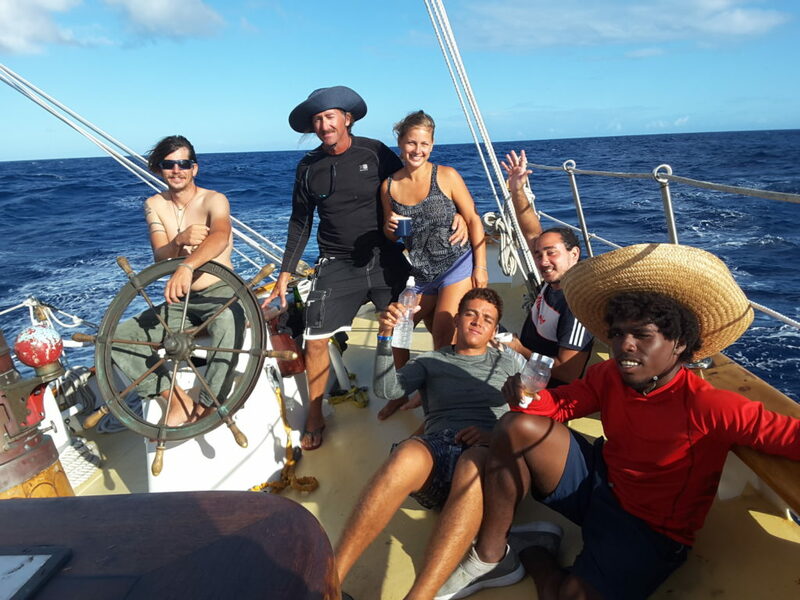 Our guest crew pitched in with everything from cooking to packing sails, Marta Anna (Polish joined in Barbados) and Olivia (Swiss joined in Antigua). After clearing in at Port Louis and a dip flying off the halliards, we made some fresh hot bread for turkey pastrami and provolone cheese and rolled away to a well deserved blissful light rocking sleep.